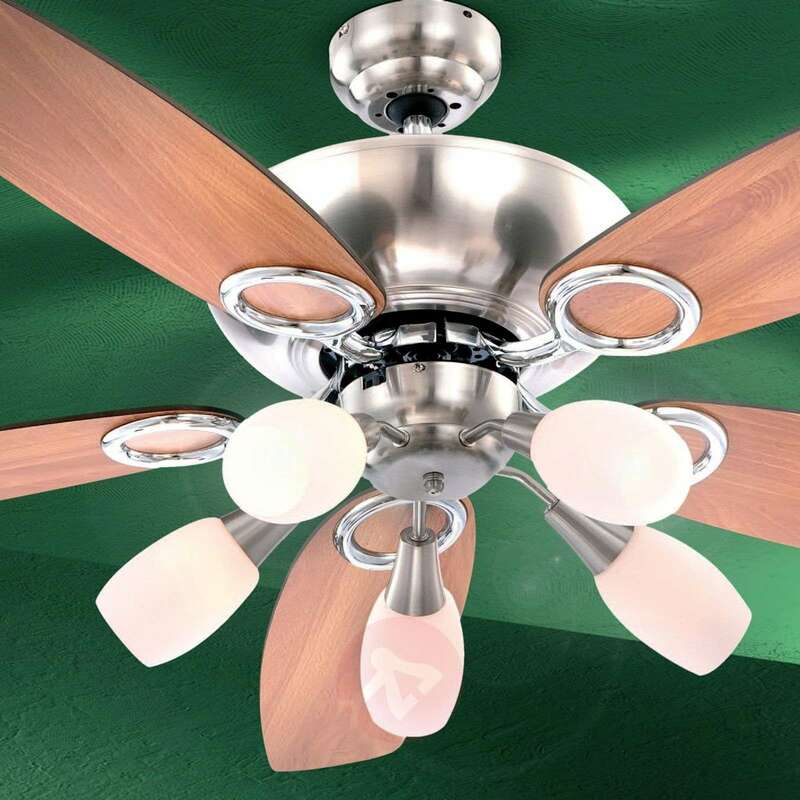 Jerry's frame comprises of metal in a matt nickel finish, the fan blade fasteners are chrome-plated. Five white satin-finished glass lamp shades point in all directions, illuminating the space perfectly. The fan blades made of MDF can be inverted. One side is all graphite, the other side is beech. 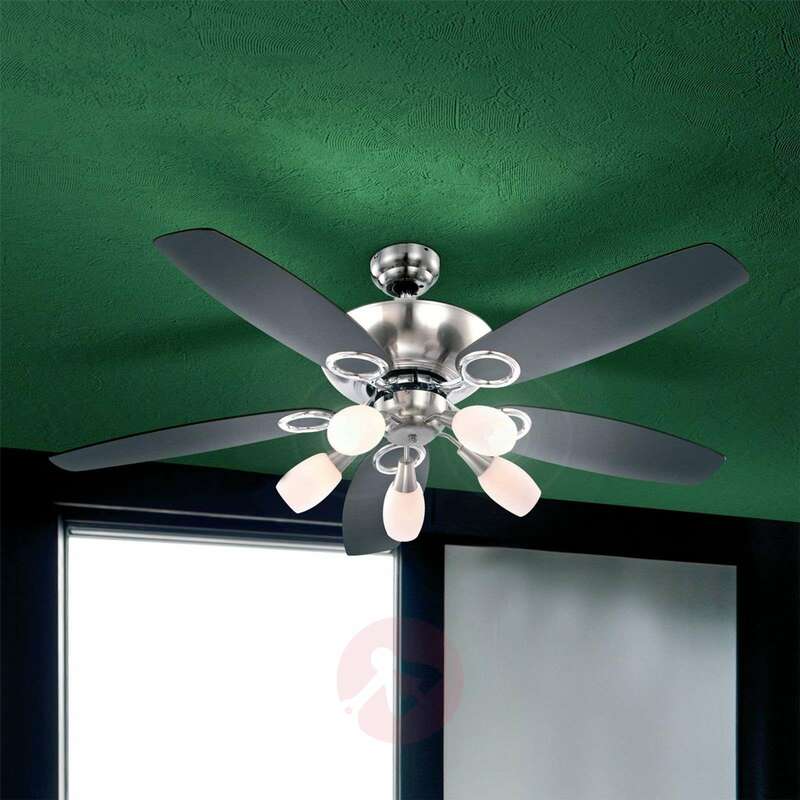 This means the appearance of the fan can be adapted to the respective décor. Equipped with pull switch. Bulb not included. - Suitable up to ceiling pitches of 35° max. Can extension rods be used to drop the fan down on high ceilings. Thanks for asking. This can cannot be extended. Does it comes with a remote control? Thanks for your message. This fan does not come with remote control, but you can buy it separately for this fan. Please check item number 4014475 for suitable remote control. 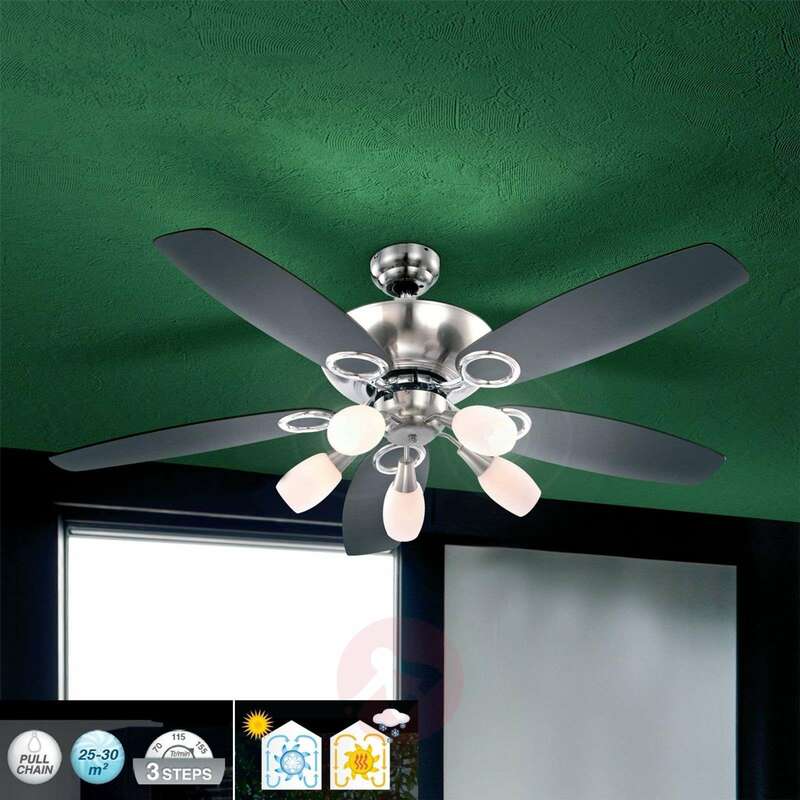 I'm interested in the ceiling fan Jerry, five bulbs but I don't want a remote controlled fan. Is manual available? Also do you fit the unit? This ceiling fan has a pull switch. We don't fit the lights , you would need to ask your electrician to help you fitting it.